A land of many colors and cultures, Malaysia is the ideal holiday destination. From bustling cities to beautiful beaches, verdant rainforests to warm waters rich with marine life, there are so many beautiful places in Malaysia to see, and so much to do. 1. Malaysia is the ideal blend of east and west. With all the comforts of the Western world at your fingertips, you are free to explore the rich Malaysian culture – from visiting major cities to exploring areas of natural beauty. And when you come home exhausted from sight-seeing, there are hot power showers, five-star standard accommodation and international cuisine according to preference. 2. Visiting Malaysia is great for the budget traveler, as everything – from hotels to food, transport to shopping – can be done cheaply if you do your research. 3. Malaysian society is geared towards tourism, so everywhere you go you will find accommodation to suit your pocket, people ready to help you find your way, and travel/transport facilities to give you access to all the important sites and attractions. 4. If you’re crazy for culinary delights, you’ll fall in love with Malaysian food. Local dishes reflect Malay, Indian and Chinese influences, and are famous for being a little spicy, a little eclectic, and whole lot delicious! Make sure you try the famed nasi lemak, Malaysia’s national dish – coconut rice served with a spicy chilli based paste called sambal along side with fried anchovies and peanuts, omelet and cucumber. Sell famously delicious items in most towns, and the seafood is also exceptional along the coast. 5. Whether you’re looking for big brand name goods or indigenous art pieces, Malaysia is the place to shop. Kuala Lumpur is the shopping capital, and the shops will put on grand sales at least twice a year to draw in tourist shoppers. The multitude of malls cater to every desire and taste, with products made in the Far East side by side with more recognizable brands. There are malls in Penang and Langkawi too, for those looking to combine a beach retreat with some holiday shopping. 6. Dreaming of palm-fringed beaches of white sand, and waves gently lapping at the shore? This dream is a reality at Malaysia’s many beach resorts. Sun sea and sand enthusiasts will be delighted at Malaysia’s kilometers of coastline and idyllic islands, with their pristine stretches of sand and clean waters. 7. A glance at the Malaysia map reveals much more than just beaches. Malaysia is also home to rainforests of untold natural beauty, a veritable treasure-trove of flora and fauna. Take an excursion or an adventure tour to get to grips with the rainforests in all their ecological beauty. 8. If the beach resorts and nature treks are not really your scene, Malaysia’s big cities will definitely keep you occupied. Shopping is not the only activity on offer. You can also check out the myriad of fantastic restaurants and cafes in Kuala Lumpur, or browse the night markets, sampling satay and collecting souvenirs as you go! Day or night, there’s always plenty to do. 9. 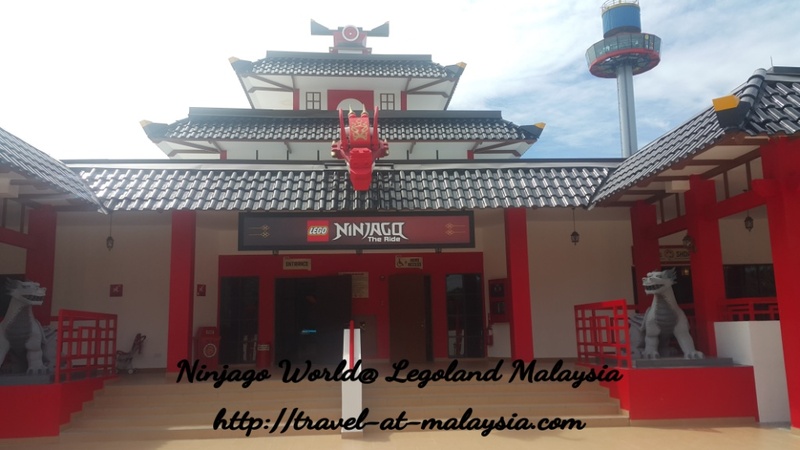 Malaysia’s amusement parks are all-round great fun for families, and a must-visit while in the country. Take a ride up to Genting to see the sprawling multi-million ringgit theme park at 2,000 meters (there are hotels and casinos nearby too), or visit Sunway Lagoon, a giant complex on 80 acres that includes a full-size resort and a water park as well as countless rides, attractions and eateries. 10. Of course, one of Malaysia’s premier attractions is the countless places of historical and cultural interest to visit. A trip to Malacca, heart of Malaysian history, is imperative – the city abounds with beautiful buildings, including St Paul’s Church, the Sultanate Museum and the A’Famosa Fortress. Gerogetown in Penang is also a UNESCO heritage site steeped in rich history and culture, and sightseers are urged to explore both cities. 11. Beautiful places in Malaysia include natural wonders of immense beauty and man-made structures of exceptional grandeur, like the Batu Caves near KL or the giant caves in Gunung Mulu National Park in Sarawak. Usually these spots are associated with beautiful temples that are decorated in amazing detail. 12. Visitors to Malaysia love the temperate weather – though there is a monsoon season, the weather is pleasant year-round, and even during rains there are often sunny spells in between. 13. Aside from traditional Malaysian dishes, one of the big attractions of eating in Malaysia is the variety of fresh fruit available. Mangoes, lychees and mangosteens are widely available, as well as the more unusual durian and rambutans. 14. Malaysia is now home to numerous sporting events, so if you’re a fan you’ll find this the ideal spot to catch up on your favorite. Watch the Petronas Grand Prix and the Tour de Langkawi, or check out some action on the water at the Langkawi International Regatta or the annual Surfing Competition in Pahang. 15. Aside from sports, other cultural events are being held which may also interest the discerning traveler. The World Kites Festival promises to be a colourful affair, as does National Craft Day and the Chinese New Years’ celebration. Throughout the year there are many fun and fascinating events to attend. 16. A country rich in traditional and culture, Malaysia produces a wide variety of handicraft items, including hand carved wooden panels, pewter decorations, rattan bags and baskets and batik textiles. Learn the skills, or simply pick up a few pieces as souvenirs. 17. Nature lovers will fall in love with Malaysia’s rainforests, but aside from plant life there are also many animal species to be found in their natural habitats, including monkeys, leopards, tigers bears and rhinos. If you prefer your animals a little more contained, the KLCC Aquaria is worth a visit, as are the Butterfly and Bird Parks. Taking a trip to Kuala Selangor to see the magical fireflies is also highly recommended. 18. Divers love to visit Malaysia because it is home to one of the best dive sites in the world, a tiny volcanic island called Sipadan. The reefs here are home to dozens of hawksbill and green turtles, as well as all kinds of fish. You may even encounter a shark or two! 19. For those looking for more quiet and seclusion than is available at the average beach resort, island getaways provide a great alternative. Malaysia’s many islands, some very developed and others totally unspoilt, form the perfect backdrop to an idyllic beach holiday. 20. Sporty types will love holidaying in Malaysia – sport tourism opportunities include golf, cycling, mountaineering, and even hiking, jungle trekking and caving. Watersports on offer range from parasailing to jetskiing and surfing – truly something for everyone! Mohammed Zaki is an avid traveller to malaysia and loves what this country has to offer. Thanks you for your great roundup. You mentioned in your 2nd point that visiting Malaysia is superb for budget traveler, from hotels to food, transport and shopping. Here’s another vital tip to make the save your wallet in Kuala Lumpur. A mobile app called CurrenSeek which has recently launched to help travellers to locate the best currency exchange rates on the streets. 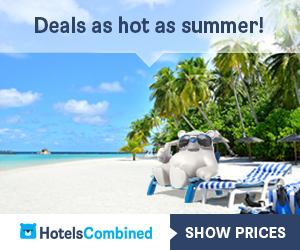 It compares the rates on so that travellers don’t have to run around to find the best deal for their holiday money. They are currently covering greater Kuala lumpur but you can check out their coverage here at http://www.currenseek.com.